Ro Rockett is where architecture and design come together. Encompassing 2 locations, in San Francisco and Los Angeles, the firm was co-founded by architects Jawson Ro and Zac Rockett in 2011. Their design visions focus on the use of natural light and materials with a purpose. The recipients of an Architizer A+ award in 2018, they have also come to the notice of architectural magazines including Dwell and Dezeen for was quoted as “stunning, site-sensitive design”. A coveted architectural company with an outstanding design reputation, a recent design has been a real stand out. They transformed a family home in Teton, Idaho. Built above a marshland it encapsulated stunning views of the Teton mountain range. The natural element of the property was at the heart of the design. The surrounding environment was not only a priority but so was its preservation. “The thought and image of them using the space to the fullest and the spaces allowing for a repeatedly evolving experience of the surroundings inspires us. Flexibility is key to allow for as many possibilities of using the space as well. We don’t want to be so prescriptive that a client finds themselves unable to use a space because it doesn’t match their personal preference of use”. Joan’s work in her chosen field speaks for itself. She has graced TV series such as Professional Grade and Landscapers Challenge. Joan starts to build her brief by finding out what the client’s interests are, lifestyle, tastes and goals. Elements Joan takes into consideration when weighing all this up is location, the climate and the architecture of the home and of course the client’s budget. In a recent design in South Bay, Los Angeles Joan incorporated Infratech heaters. She researched the category and realised there was nothing else on the market that fitted her design concepts or offered comparable quality. She was able to choose their finish so as to complement the existing outdoor design. She liked the design because they were thin and inconspicuous. They don’t jut out as a standalone appliance. They blend with the whole space. Based in Los Angeles, California, Tom Stout founded the company in 2000. It is a start to finish landscaping and remodelling business. Tom’s favourite place to be is outside. His passion extends to creating unique and sustainable designs. The company specialise in a concept called SoCal (southern California) landscape. It is a collaboration of form, function and sustainability. Then we asked, how does the SoCal environment influence your design decisions? “There are a few specifics that apply to Los Angeles when considering a design. People pay a lot of money to live in the area so we maximise every square inch of the property. Front yards can get turned into outdoor lounge rooms and side yards might become outdoor living spaces. 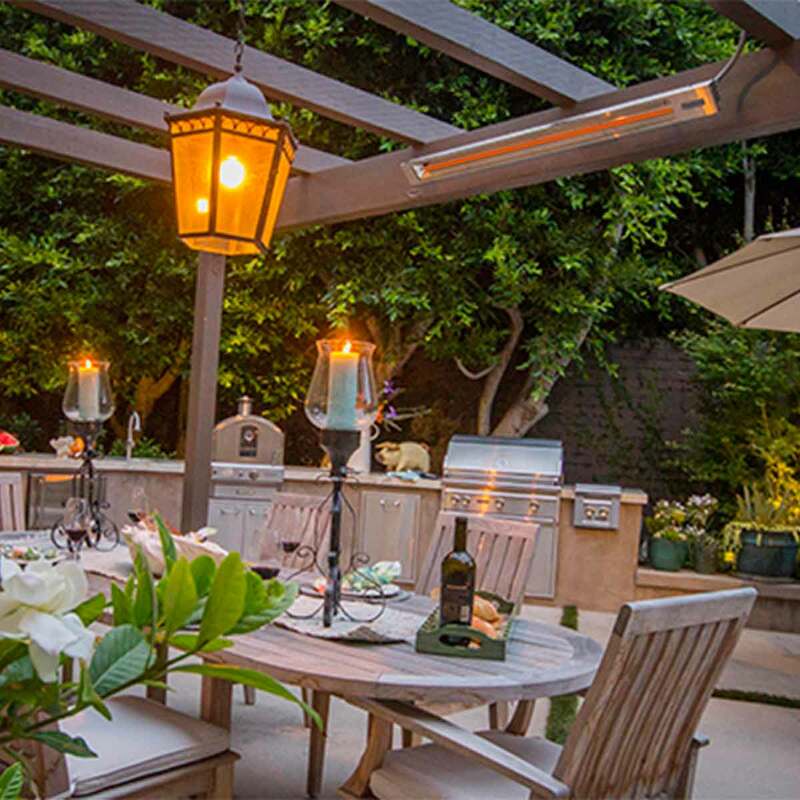 We endeavour to make a multi-purpose area that can be dedicated to relaxing after the LA traffic, somewhere the kids can play or equally as functional to be used as a professional entertaining area. Then for the cool SoCal evenings it has to be Infratech.